People at this year’s North American International Auto Show in Detroit were lucky enough to get a look at the new 2020 Ford Explorer, an iconic vehicle that’s received its first ever redesign. They also got the chance to check out some other exciting SUV debuts! Here’s a shortlist of what SUVs were on display at this year’s Detroit auto show. Infiniti possibly had one of the most embarrassing moments of this year’s Detroit auto show. 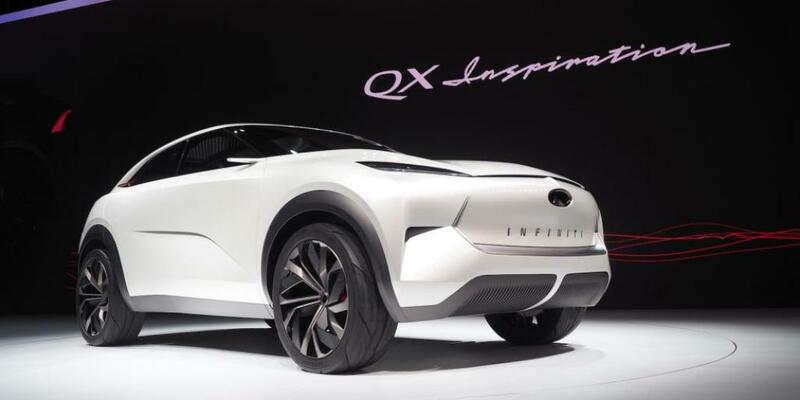 When the company called for its Infiniti QX Inspiration concept to pull forward during its official public debut, the sports utility vehicle failed to do so! The steering wheel and foot pedals in the vehicle retract to allow for automatic driving. Its failure to appear on cue, though, didn’t deter Infiniti designers who continued on with the scripted presentation. This is the first-ever all-electric vehicle from the Nissan-owned brand, so it’s important! Despite the vehicle’s failure to appear, it did still make quite an impression at the auto show! The all-electric Infiniti QX Inspiration concept is actually meant to look like folded origami paper in the front and it was designed to have a warm, lounge-like feel inside. The battery pack is built into the floor which makes for a roomy interior. With electric motors powering the vehicle’s wheels, there’s no need for a front grille to cool an engine. Instead, the brand’s illuminated logo appears on the front of the vehicle. It helps make this SUV look even more sleek and futuristic! Infiniti certainly did not skimp on the details with this vehicle. It seems as if every element was carefully thought out to reflect the principles of traditional Japanese design. Its roofline, for example, is lined with beautiful Japanese Red Cedar slats that look like the timber louvers used in Japanese architecture. The special white exterior paint, meanwhile, was inspired by winter snow on the flanks of Japan’s Mount Fuji! As Infiniti works to release its first production all-electric SUV, it’s important to pay attention to these concepts! 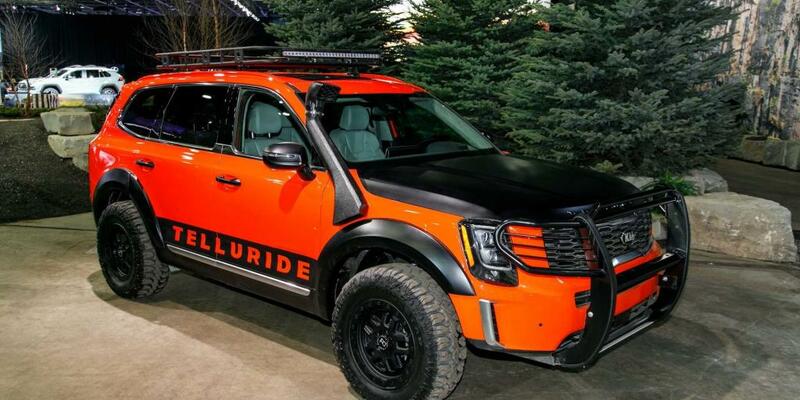 The production version of the 2020 Kia Telluride made its debut at the 2019 Detroit auto show. The new three-row SUV is now the biggest crossover in Kia’s lineup. It slots above the Sorento. It seats up to eight people, so there’s plenty of room for you and all your friends! A seven-seat version with captain’s chairs is also available. 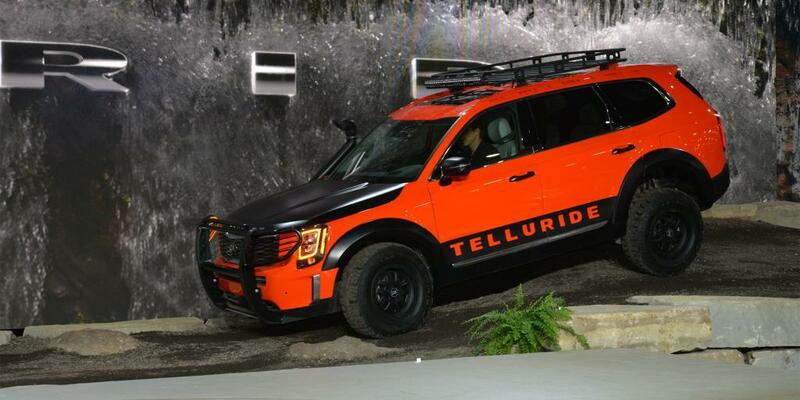 The 2020 Telluride is powered by a 3.8-liter V6 that churns out 291 horsepower. The Telluride will be available in either front- or all-wheel drive. When properly equipped, the SUV will be able to tow up to 5,000 pounds. Self-leveling suspension is available to make for an even more comfortable ride. What’s also great about this Telluride is that it comes with a system that informs drivers in a number of ways when they may have left a child or a pet in the rear seat. The vehicle can even send the driver a text message in case they left something behind. There are also other safety systems available to help manage speed, braking, and steering. Inside the Telluride, there’s plenty to love! How about an available 10.25-inch touchscreen infotainment system? There’s also optional quilted nappa leather. Definitely a handsome interior! The new Telluride goes on sale in May of this year. It will be built in West Point, Georgia. 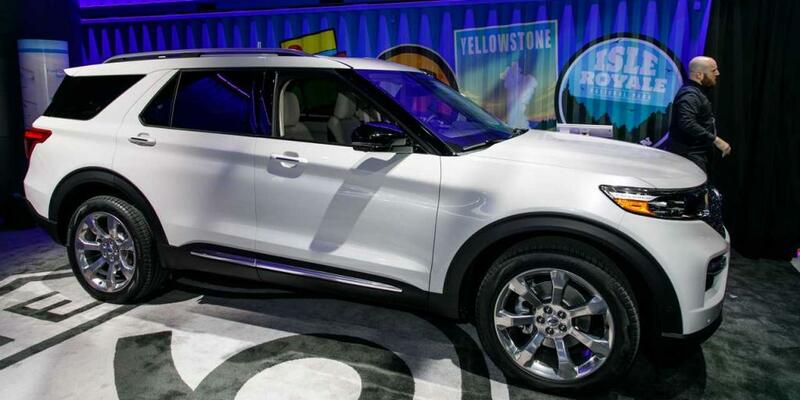 The 2020 Ford Explorer made headlines right before this year’s Detroit auto show and it definitely ended up being a show stealer! 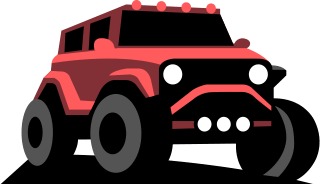 The Explorer is such a well-known vehicle, so it was a big deal for it to get a design overhaul. It features lighter, leaner, and stronger construction. Its new architecture has also made it roomier. Beneath the hood, there’s more powerful engine offerings. There’s even new smart technology and special creature comforts to help passengers feel more at ease! Under the hood, there’s a new 10-speed transmission paired with seven driving modes and three optional powertrains. There’s even a hybrid version being offered! Inside this new Explorer, there’s more modern technology like 4G connectivity, WiFi, and a 14-speaker 900-watt sound system. There’s an available 10.1-inch vertically oriented touchscreen infotainment system, which looks and acts like an iPad. What’s also great is that all Explorers will come standard with Ford Co-Pilot360. That’s a suite of advanced driver assistance and safety technology features which includes automatic emergency braking, blind spot warning, rear cross traffic alert, and lane-keeping assist. The rearview camera even has a cleaning system, so that you’ll always have a clear view when backing up. The new Explorer is scheduled to arrive at dealers this summer. It will cost around $400 more than the outgoing model. It’s expected to have a starting price of around $34,000. Another three-row SUV was on display at this year’s North American International Auto Show in Detroit. Cadillac chose to debut its latest luxury crossover there. The all-new 2020 Cadillac XT6 slots between the popular Cadillac XT5 and the truck-based Cadillac Escalade. The XT6 will be offered in Sport and Luxury versions. It definitely was a smart move by Cadillac, as its customers will likely enjoy having the extra three-row SUV option in the lineup. Under the hood of the new XT6, there’s a 3.6-liter V6 engine that’s paired to a nine-speed automatic transmission. There are four driving modes to choose from. As for safety, the XT6 comes standard with automatic emergency braking, blind spot monitoring, rear cross traffic alert, and lane-keeping assist. There’s additional available features like adaptive cruise control - advanced, night vision, and a HD surround vision camera. Inside the vehicle, there’s also plenty to love! There’s Cadillac’s latest infotainment system and six USB ports. There’s also available captain’s chairs, premium leather-appointed seating, Cadillac’s in-vehicle air ionizer, and Cadillac’s first Bose Performance Series sound system with 14 custom-tuned speakers. Talk about luxurious! 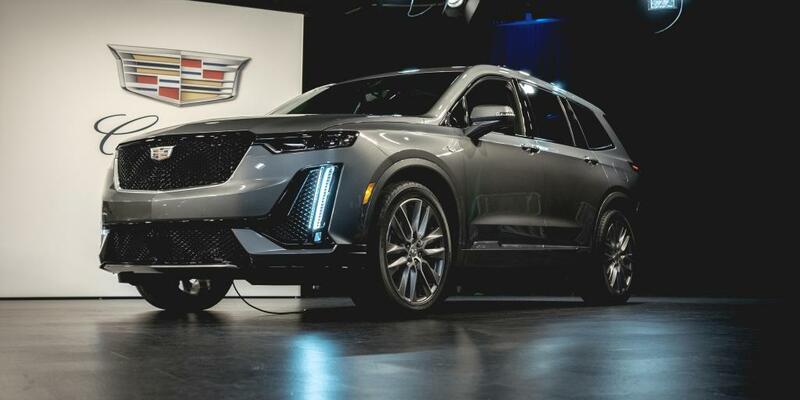 The 2020 XT6 will be manufactured in Spring Hill, Tennessee and will be available for ordering this spring.